Automated Alarm Contact - CIMTechniques Inc.
SmartScan systems have multiple ways to alert for alarm conditions: audible and visual on the monitoring unit, horns, stacklights and alerts shown on static and mobile monitoring stations. 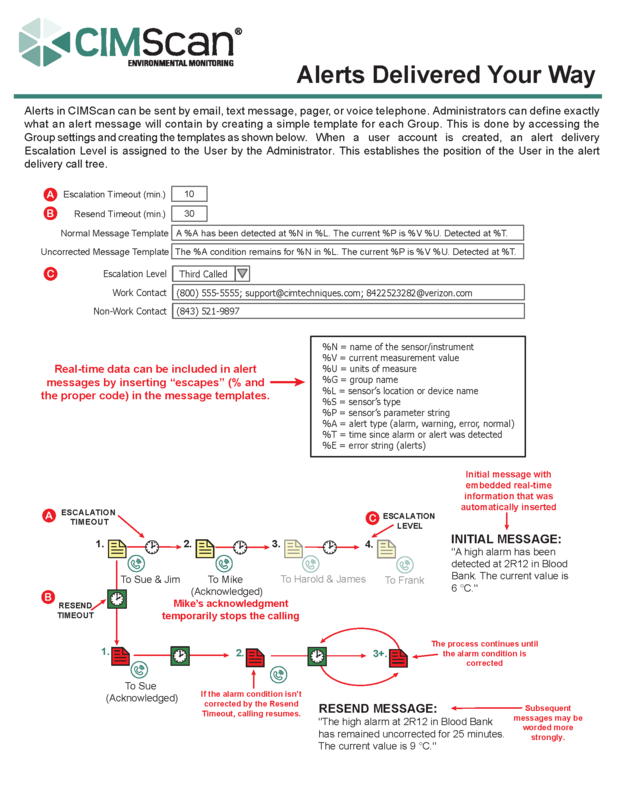 In addition, alerts in SmartScan can be sent by email, text message, pager, or voice telephone. 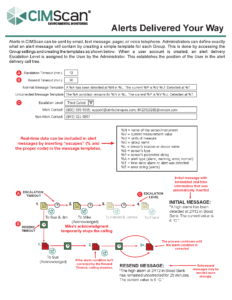 Administrators can define exactly what an alert message will contain by creating a simple template for each Group. This is done by accessing the Group settings and creating the templates as shown on this page.